Taunggyi Time (ေတာင္ႀကီးတုိင္းမ္): Burmese Diplomacy and Repression: Why the West should not Invest or Lift Sanctions on Burma? 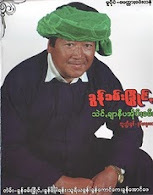 Currently the ruling hierarchy are the same butchers of 1988, except that they have discarded their uniforms for longyi (လံုခ်ည္) a Burmese sarong, and wear Goungbaung (ေခါင္းေဘာင္း) the Burmese headdress, instead of the military caps. Their de facto leader Than Shwe staying in the side lines is the same person that placed old man, Ne Win in his dotage stage, is the real architect of seizing power from the civilian administration and replaced his senior Saw Maung, the Chairman of the State Law and Order Restoration Council and later SPDC. A classic example is that one can witness that these ex brass continue to adhere to the concept of “Lying the very concept of Truth” e.g. at first they deny that there were political prisoners, then they release the first batch of few political prisoners but being pressured they are forced to release the 2nd batch in substantial numbers but the world knows that there were more than 900 political prisoners remain detained in jails across Burma. Even though UN Special Rapporteur on Human rights in Burma Tomás Ojea Quintana urged the regime to release all remaining political prisoners, they refused to do so. Beside the current political prisoners released were under Section 401(1) of the Criminal Procedure Code which explicitly means can be rearrested and forced to serve the remainder of their original sentences any time the regime chose to do. Of course these can be construed as the internal affairs of Burma and has nothing to do with the business community. But the logical question is can you trust to do business and invest in this regime when lying the truth is their standard norms? In January, the regime continued to promote the appearance of a reform agenda by pursuing ‘peace agreements’ with ethnic nationalities freedom fighters and armed groups. The regime’s apparent haste to produce ‘initial’ agreements is clearly aimed at removing economic sanctions and other barriers to foreign investment because this is but one of the conditions placed by the Western powers after the release of the Lady. The simple logic is that if they do not meet this condition, than there is little hope of lifting sanctions not to mention investment. So the Regime representatives signed agreements with the Shan State Army-South (SSA-S), the Chin National Front (CNF), the Karen National Union (KNU), and the Shan State Army-North (SSA-N). However, the Kachin Independence Organization (KIO) sees the writings on the wall and the regime failed to reach an agreement with them. So the Burmese army, the notorious Tatmadaw continued to launch an all out war against the Kachin Independence Army (KIA) in Kachin State and Northern Shan State with their scorch earth policies. There was such amount of human casualties and the hue and cry of the international community was so loud that on Jan 13th President Thein Sein issued an order for Tatmadaw forces to cease hostilities against all ethnic armed groups in Burma. However, the Burmese army indirectly control by Than Shwe refused to listen and continued to mobilize troop’s reinforcements and supplies to conflict areas estimated to be over 20,000 Tatmadaw soldiers. The Kachin have adhere to the real Pyidoungsu the Genuine Union of Burma which makes the generals and the ex generals on the defensive and one can ask the Kachin of what is the raw deal put on their table is that Naypyidaw estimated that it will take three years to bring the Kachin to its knees before they launched another major war against the WA of Shan State who is much stronger. “Some people in the international community together with some political groups are crowing that they have press freedom now.” How far is it true when it prohibit not to publish any of Daw Aung San Suu Kyi’s call for the release of remaining political prisoners, comments made by 88 Generation Students concerning the need for the creation of student unions and the regime’s flawed policies vis-à-vis ethnic groups and News about the eviction of abbot U Pyinnya Thiha from his Rangoon monastery. On 19th January, Freedom House released its annual “Freedom in the World 2012” reported Burma as “Not Free” and Reporters Sans Frontières (RSF) released its “Press Freedom Index 2011/201 2.” rated Burma as 169th out of 179 countries of the world. How can one do business with the country when reliable news including economic and statistics are absent or figures lied? And yet the Western Business community is bent on going to Burma. Why? The regime's plan was --: through the soft-spoken President Thein Sein termed by those who see him as a sincere gentleman bent on genuine change - which Dr Zarni term it as Kyaung Ché (ေၾကာင္ေခ်း) meaning soft excreta of a cat that looks and feels soft, but equally stinky and potent. No doubt that he is successful in attempting to convince Daw Aung San Suu Kyi to adopt the evolutionary way of changing things rather than the revolutionary way which the mass desired and has used her something like a tool to get US sanctions that block any type of World Bank/ADB and IMF 'assistance' to Burma. But the underlying cause is that the Generals want to stock their ill gotten millions, if not billions of dollars in Western banks for their near and dear ones, as they have learnt a lesson of what the Chinese do to Milosevic’s money after his downfall. When it is clear that without any serious and genuine change, the Lady will not give them a blank check as she starts talking about the changing of the Constitution and settling the ethnic nationality grievances by calling the Second Panglong Conference that tends to reveal the true picture that the Tatmadaw generals are the real culprit of the Genuine Union of Burma (Pyidaugsu) as well as against Democracy will definitely rouse up the peoples’ emotions and send cold shivers through the spines of these men is silk skirts and headdress.. Even now she is attracting thousands and thousands of people whenever she appears. Hence they said a big “No” and regime in future is going to be less inclined to continue playing 'nice nice' with the Lady. Will the West invest in such a climate? What more proof is wanted when Daw Aung San Suu Kyi has to postpone her political trip to Mandalay, the second capital of Burma because she could not obtain permission to hold a political gathering at a football stadium , a lame excuse, if not a sour note just to show who is the real boss, Thein Sein or Than Shwe. It can be pressured by the big Chinese community in Mandalay via Beijing to rein in the lady through the puppet regime of Thein Sein. For business community of the West this episode clearly paints the picture that the regime can go back to its Orwellian rule at any moment not conducive to business dealings and investment and will have to think twice before investing. The Western response to these developments should be somewhat similar way it responded to Yeltsin's Russia with caution. George Soros invested $500 million in Russian gas and oil sector and lost all. However if one construe "Free Market, that benefits Western investors and corporations, is good. Anything, idea, any institution that stands in the way is bad, for instance, state subsidies for basic survival necessities, public provisions of health, education, social security, electricity and other necessities. Private good, public bad. Egalitarianism bad, 'survival of the fittest is good” then they should join the band wagon like TOTAL of France, Chinese, Thai and Singapore companies, Narco barons, cronies or may come up under the humanitarian associations funded by the Nazis ancestors, the Myanmar Egress and so on. The Junta’s love affairs with the Kachin lasted for nearly one and half decades and even then there is still no happy ending as it ends in divorce. Now the romance with another new lover Daw Aung San Suu Kyi’s NLD has just began and is not even one year yet when there are several indicators that the honeymoon is not going well as the Mandalay episode reveals . The Western business circles bent on entering Burma may knew that it is neither holistic nor conducive to wholesome morality to do business with the regime but can their obsession of profit motive and rationale be cautioned that it is still not subservience to business dealings and investment either?